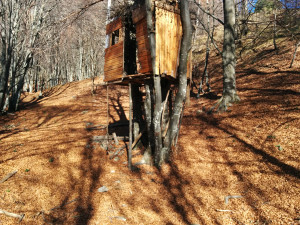 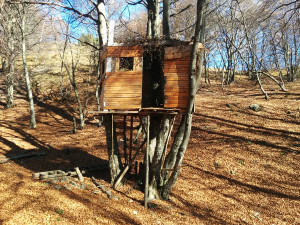 A small treehouse in the wood of Piani dei Resinelli (Lecco, Italy). 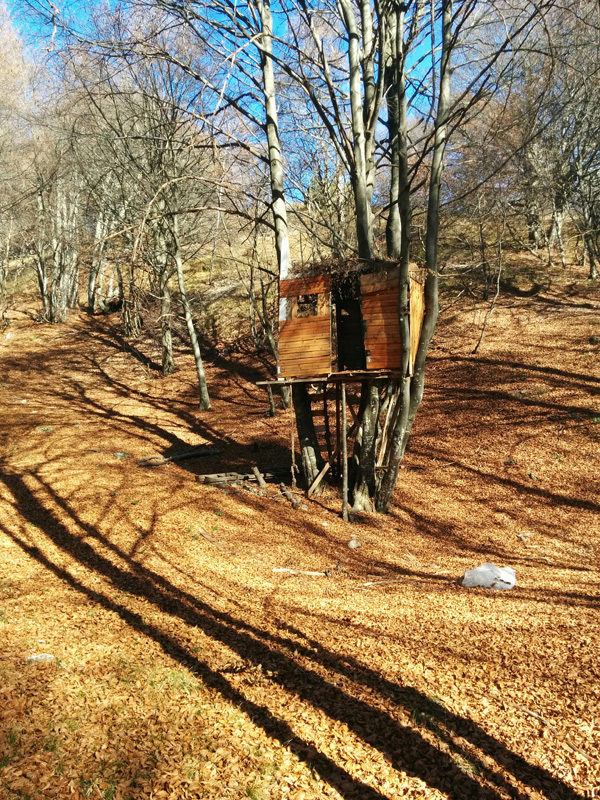 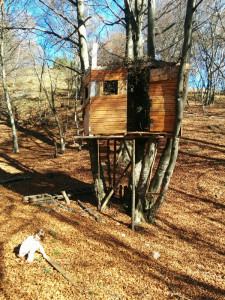 Roberto was walking in the wood when he found this treehouse, made of recycle material. 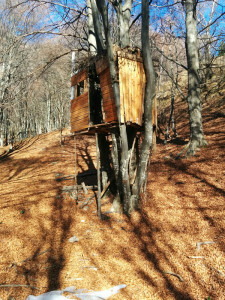 Thanx Roberto to share this with me!